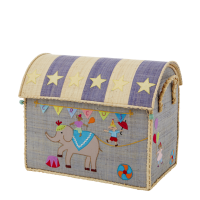 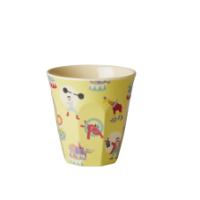 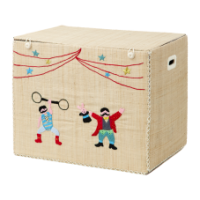 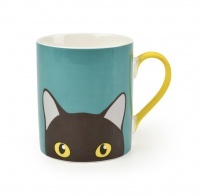 Yellow Baby Melamine cup with a handle from the Circus print collection by Rice DK. 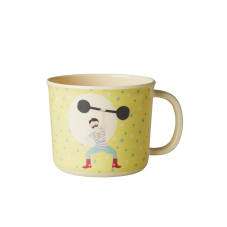 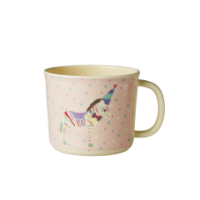 This cute cup has a picture of a "Strong man" on the front, on a yellow background, the cup has a cream interior. 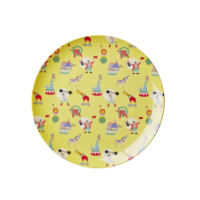 This easy to hold childs small melamine cup co-ordinates with a lunch plate, bowl, and cup. 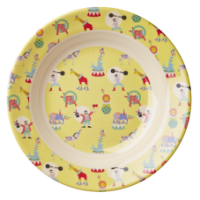 Great for boys and girls.